VILLAGE NEAR KATHMANDU, NEPAL – Over the weekend, our team of expert earthquake structural engineers was dispatched to a small hilltop town that suffered heavy earthquake damage about 20 kilometers outside of Nepal’s capital city. “It’s not far (from Kathmandu), but destruction is almost complete,” Dr. H. Kit Miyamoto reports in this story from the field. Of the town’s 1,000 or so buildings, about 90 percent are damaged or destroyed, he says. Unfortunately, hundreds of other hilltop villages suffered unfathomable destruction; people work for a lifetime to construct the one home they have. “They definitely need help,” says Miyamoto, seen in this photo essay with Miyamoto Italy’s Marco Cossu. 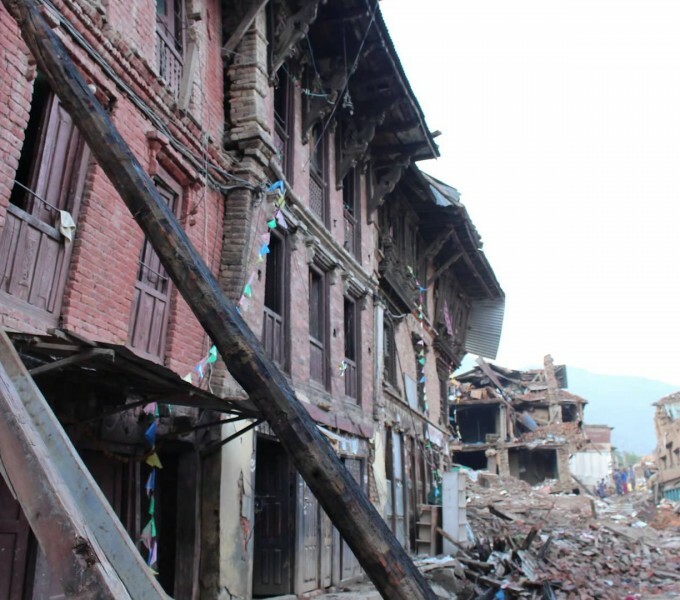 Click on the story to hear and see more from the front lines as Nepal struggles to recover from the 7.8-magnitude earthquake that struck April 25, 2015, killing at least 8,000 people.